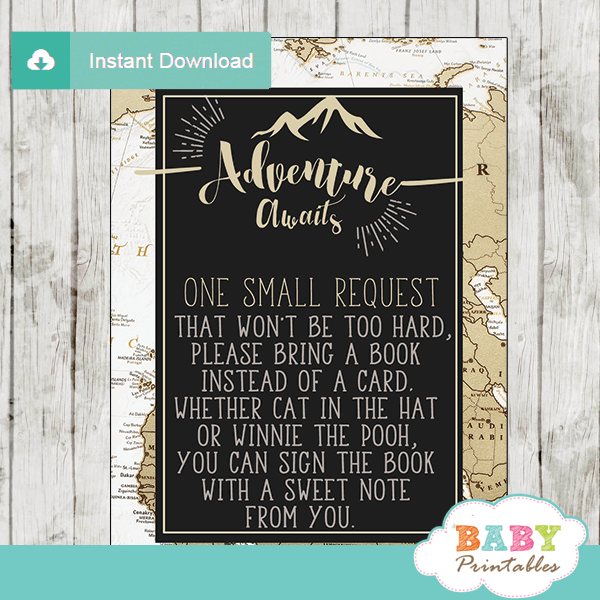 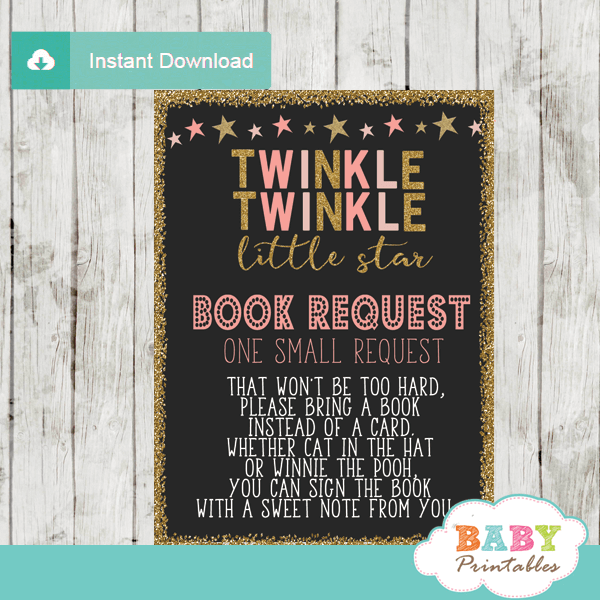 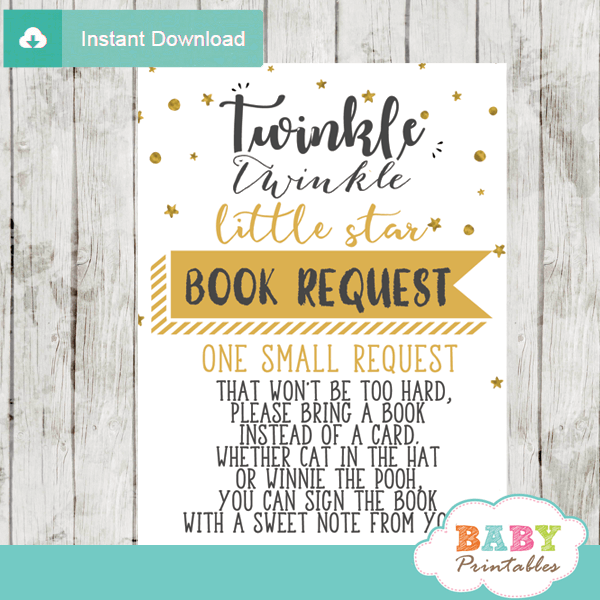 Start building your little girl’s library with these geometric floral woodland book request cards by inserting one with your matching baby shower invitations. 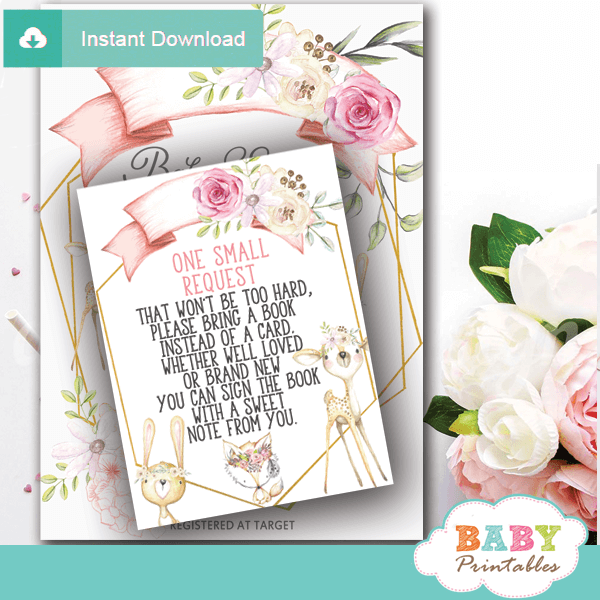 The floral book request cards feature the cutest forest animals rabbit, deer and fox crowned with little flowers against a white backdrop. 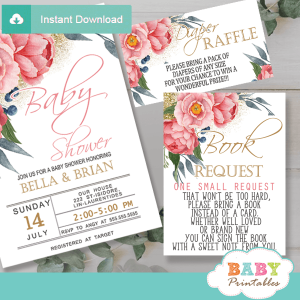 The floral invitation inserts are decorated with a blooming flower arrangement in pink tones contrasting beautifully with the geometric gold frames for a chic woodland theme for girls.